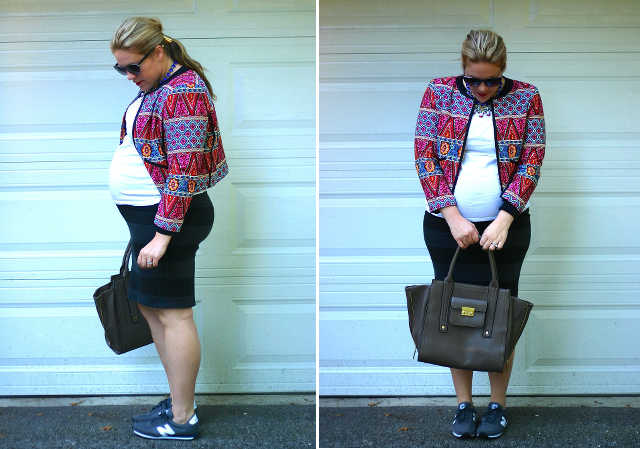 A little mixture of statements here: a statement necklace, jacket and bag... all worn with two little athletic touches, a baseball shirt and sneakers! 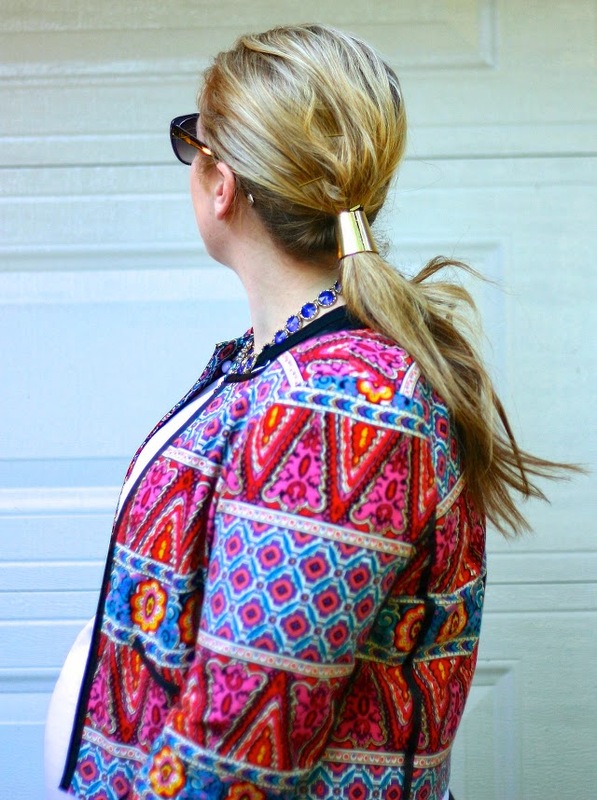 Have you dabbled with styling the athletic trend this season? I'm finding it very comfortable, though must admit, I struggle a little to make it look natural and not like a walking commuter who is going to put on her real shoes when she gets to work. Know what I mean? 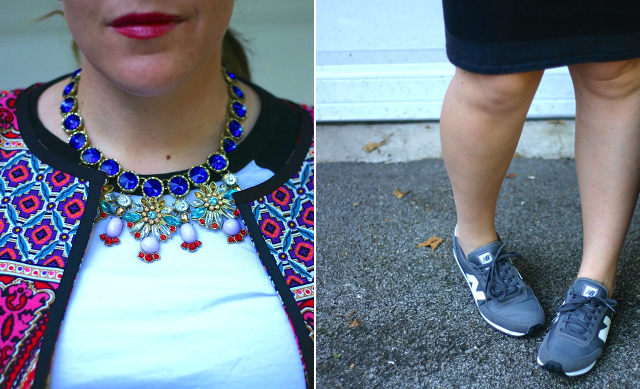 How are you styling athletic shoes for real-clothes wear?